Sometimes we have strange things happen in our schedule where one class will be way ahead of the other classes, or we'll only see our students for 30 minutes instead of the usual 50. I think it just comes with the territory of teaching elementary art. 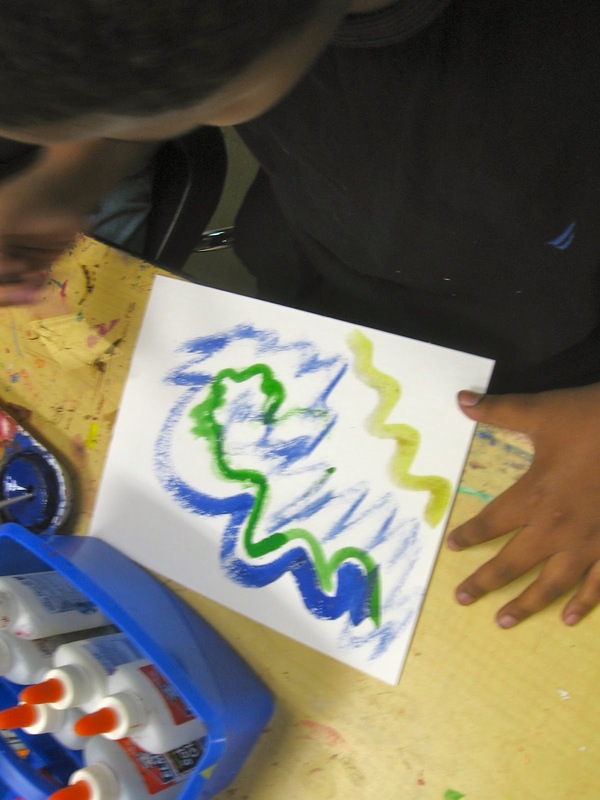 We love to paint to music as a mini-lesson when this happens. I always model it. Then, I let the kids paint for several minutes to different music. YouTube karaoke without background vocals is your friend, my friends. I keep a couple of playlists ready for days like these. Hope you enjoy these photos of students painting to music. Do you have any go-to mini-lessons? Please share!